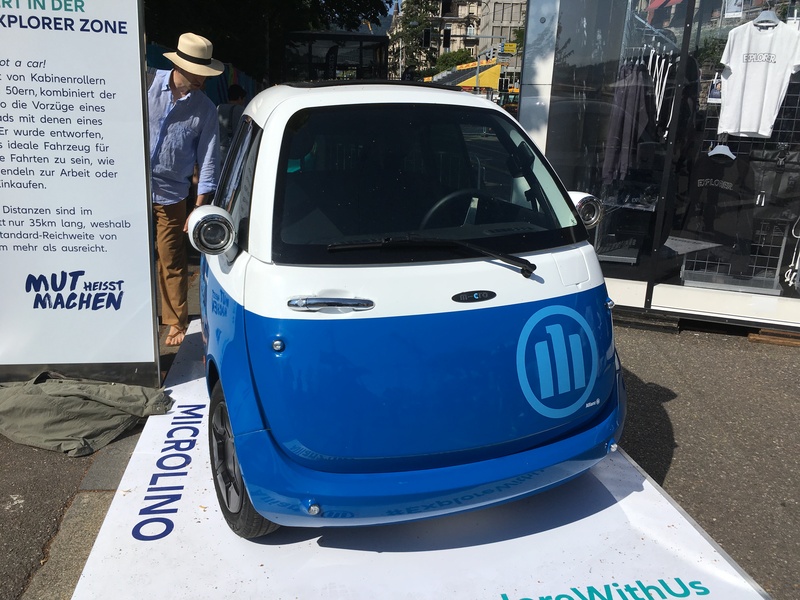 The Zürich ePrix was a historical event, not only for Formula E, but also for the motorsports world, as racing returned to Switzerland after many decades. But the success was not limited just to the on-track action -the public had a fantastic time overall, with features like the eVillage and a stunning backdrop. Switzerland would host its first FIA sanctioned circuit race since 1954 on Sunday 10th June, and the day before marked the anniversary of the accident which led to the ban being put in place. Prior to this, Switzerland had a round on the Formula 1 calendar at Bremgarten, just outside of Bern and even by 1950’s standards, this was a dangerous track. It had no real straights as such, just a mixture of high-speed corners over 7.2km of forest and this led to numerous changes of light and there were a few sections that were cobblestones. It also claimed the life of Archille Varzi, one of the great pre-war drivers for Alfa Romeo and later on, Auto Union. A Swiss Grand Prix was held in 1982 on French soil, at the Dijon-Prenois circuit. // Photo credits: Williams Racing. The ban on motorsport in the country in 1955 was as a result of Pierre Levegh’s crash at Le Mans which saw himself and 83 spectators killed and almost 180 spectators were injured. There was a Swiss Grand Prix in 1982, however, this was held at Dijon-Prenois over 80 laps and saw Keke Rosberg win his only race of the season as he went on to win the championship. 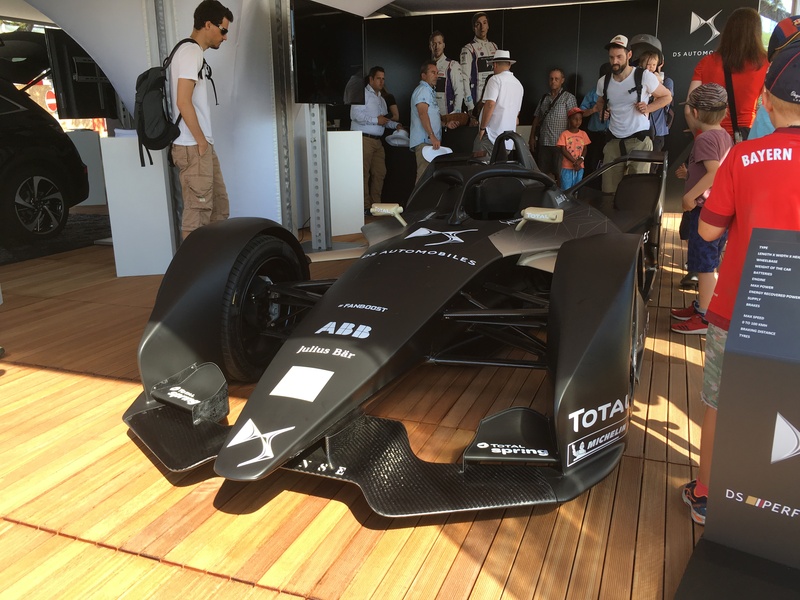 Since then, there have been a number of Swiss drivers who have competed at the highest levels in motorsport such as former WEC and FE champion Sebastien Bumi, multiple Le Mans winners Neel Jani and Marcel Fässler and DTM and GT aces Nico Müller and Edo Mortara, both of whom also have Formula E experience as well. There is also the Sauber F1 team in Hinwil and prior to their F1 journey starting in 1993, they were running the factory Mercedes sportscar programme. I made it into the circuit and found where I wanted to watch the first practice session and I asked a staff person as to which way I was meant to go. Overall, I found the staff at the circuit helpful and the security were very efficient which given the size of the crowds going to the circuit, was a very good thing indeed! I watched the opening practice session from the free standing area before Turn 3 and there were quite a few people there considering it was only the opening practice session. There was also a restaurant next to the track who were selling snacks and drinks to the fans in that area. What was free though was standing on the tables and bench seats, especially the latter, in order to get photos from a higher vantage point. After the first practice session, I went out of the circuit and walked along part of a river to get back into the circuit to explore the E-Village and they had a lot going on from manufacture displays from the like of Jaguar, Porsche, BMW and Mercedes for example to the ETH Zurich University and their Formula Student car. There was also a stage where they had people doing mini concert sets, and also a lot of things for much younger fans to do at the circuit as well. 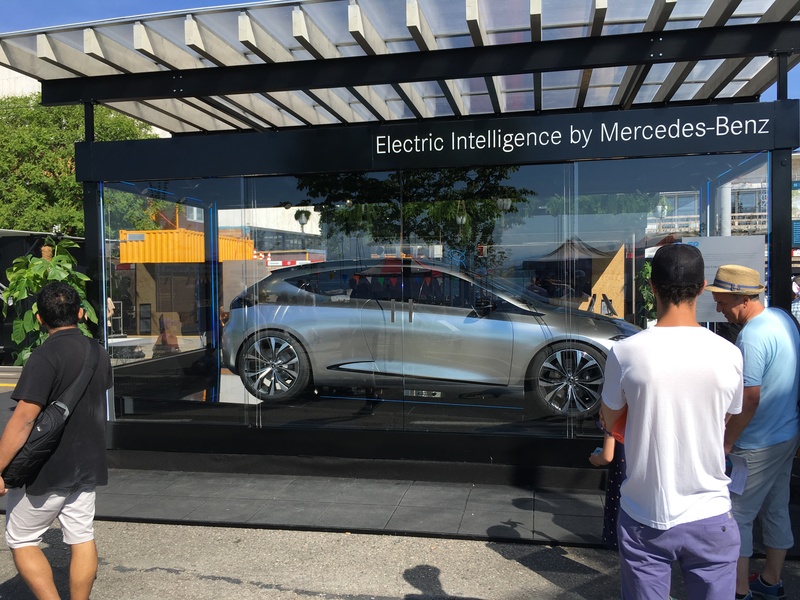 Outside of the circuit, there was also a test drive zone for people to test drive various electric road cars from Teslas to Smarts. There were also a lot of food and drink vendors at E-Village and there was a really wide variety of foods on offer from burgers and pizza to quinoa. 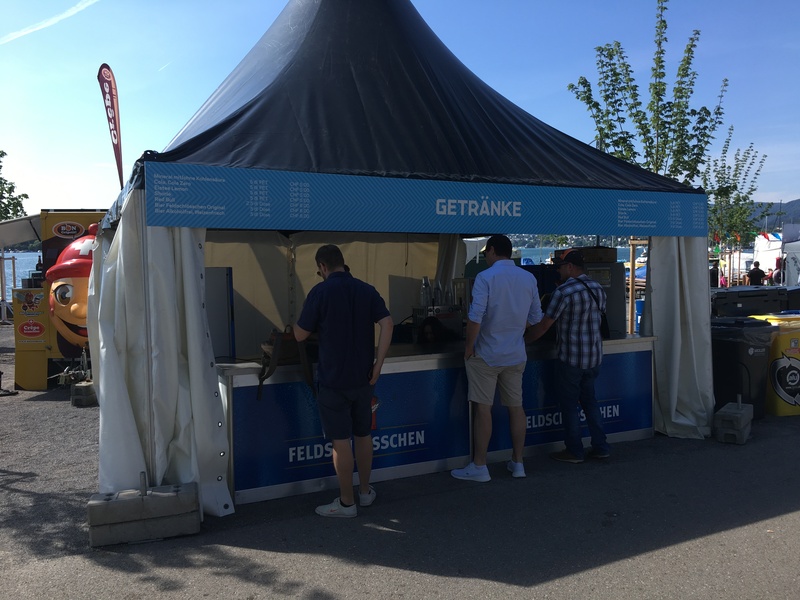 There were also multiple places selling hot dogs and beer and at reasonable prices as well. One feature I had noticed was that the bridges over the circuit also had elevators next to the stairs so that wheelchair users and people with young children in pushchairs could get around the circuit easier which was good for accessibility. When it came to the start of the second practice session, I decided to watch from the pit straight, just before Turn 1 where the cars were passing by at high speed and even though it was only a practice session, the crowd at the free standing area was three and four people deep. Later on, the crowd started to move into more shaded areas at the circuit and I can’t say I blamed them as it was brutally hot that day. After grabbing lunch, I made my way back to the circuit in order to watch qualifying. 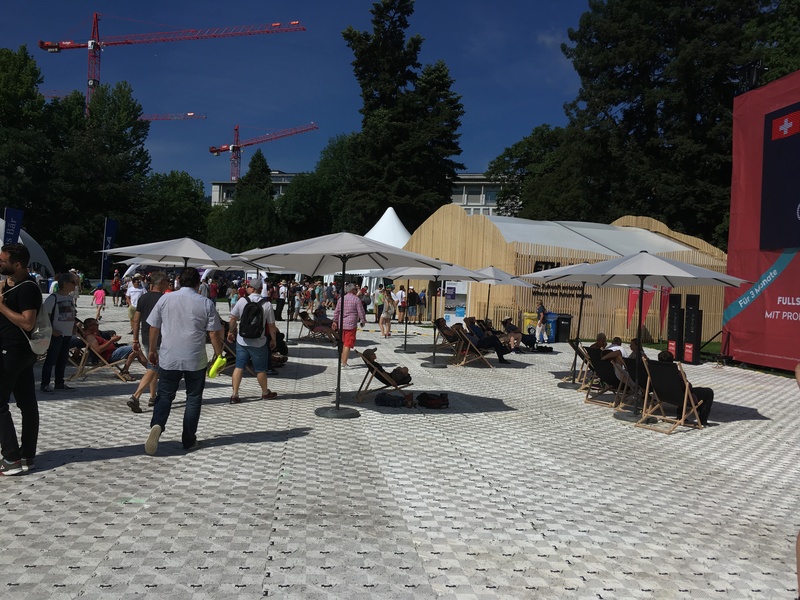 I eventually made it to the E-Village where they had laid out some deckchairs and umbrellas as a result of the warm weather but as all of them had been taken, I sat on the floor and sort of under an umbrella in order to see the big screen and watch qualifying. After qualifying and in desperate need of a cold drink, I went back into McDonald's to drink a Coke Zero and also to charge my phone which wasn’t charging due to the heat. While I was there, I saw that the local police force had estimated a crowd around the 60,000 mark, and that was just for Qualifying! The race itself saw a larger crowd of over 100,000. For an open-wheel race that isn’t Formula 1 or the Indy 500 that’s very impressive. For a championship as young as Formula E is, it’s even more impressive. In general, I think the local population in Zurich really got behind the race. Even the local press was really getting into it. On Friday, one of the local newspapers, Tages-Anzeiger ran a pull-out on “Die Formel E in Zurich” and even had more coverage in the following day’s copy. When I was at the circuit, I think the general atmosphere among Swiss fans was very positive and this is despite my German being limited to maybe fifty words at best. 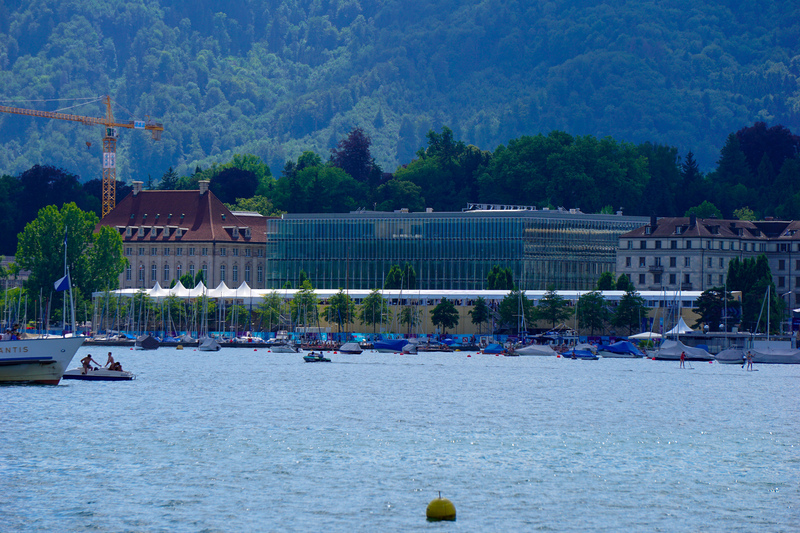 The fact that it was in such a cool location as well, was a bonus with the old city in the background and the pit straight alongside Lake Zurich as well. On Friday, one of the local newspapers, Tages-Anzeiger ran a pull-out on “Die Formel E in Zurich” and even had more coverage in the following day’s copy. All things considered, it was well worth it and it also showed that in between the on-track action, there is also a lot to look at and do as well. 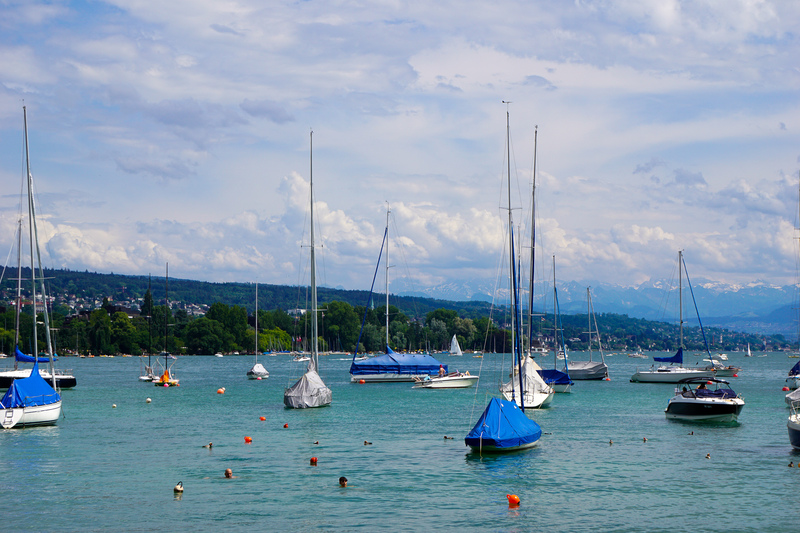 I even saw people sunbathing between sessions and going for a quick dip in Lake Zurich to cool down. For younger fans who might be more sensitive to louder cars like the Oreca LMP2, Jean-Eric Vergne is racing at the World Endurance Championship, it is appealing from a parents perspective as there is a fair bit for kids to see and do. When the Jaguar I-PACE eTROPHY joins a support series, there will be even more on-track action. The fact that the general admission for the e-village and the standing areas was free to enter was even better! Top image by FIA Formula E; Zürich images by Rob Lomas.